The UNO Jazz Ensemble performs the finest big band literature available, covering a range of styles including swing, latin, and contemporary arrangements by UNO Faculty and students. 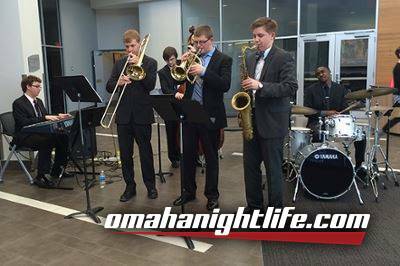 The ensemble hosts the annual UNO Great Plains Jazz Festival, one of the biggest educational jazz festivals in the midwest and regularly tours abroad and throughout the United States. The UNO Jazz Ensemble regularly performs with major guest artists including Randy Brecker, Diane Schuur, Jon Faddis, Peter Erskine, and many more.